Happy February! We have a new playlist for you featuring 10 artists as chosen by AirMTM. 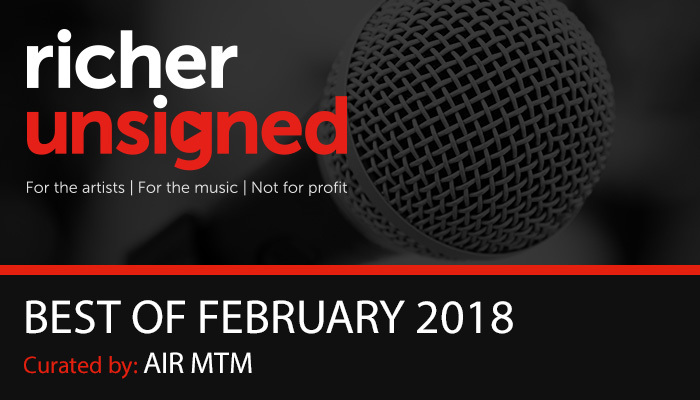 AirMTM is a dynamic music company based in the UK whose speciality is taking artists from niche musical genres and bringing them into the mainstream whilst not alienating their core audience. Air comprises a PR and promotions team, concert booking agency and artist management company all working under one roof.